I'm fairly new to using za'atar, and have come to love its unique acidity from the sumac, the ever familiar dried thyme and a bit of nutty crunch from the sesame seeds. 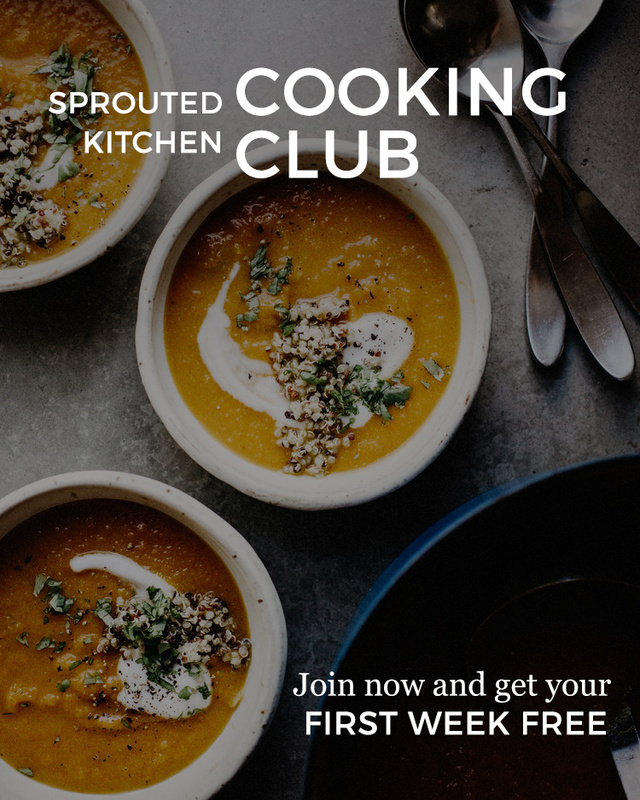 You can buy it at spice shops, online, middle eastern grocery stores or Sarah at My New Roots has a recipe to make your own. It's great on top of hummus, used in a marinade, on grilled vegetables, etc. I give cheese measurements, but you can use your discretion depending on how you like your pizza, and how many vegetables you throw on there. The melty cheese is necessary in combination with the feta. 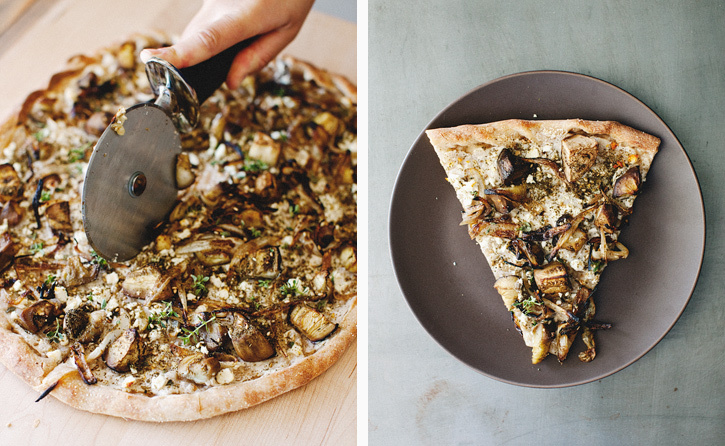 The feta provides saltiness and flavor, but the mozzarella makes it a pizza. I've given directions for baking, but you could just as easily do this on the grill if you don't want to turn on the oven. You can alternatively saute the eggplants, instead of roasting. 1. Preheat the oven to 500'. Mix all of the tahini spread ingredients together in a bowl, set aside. 2. 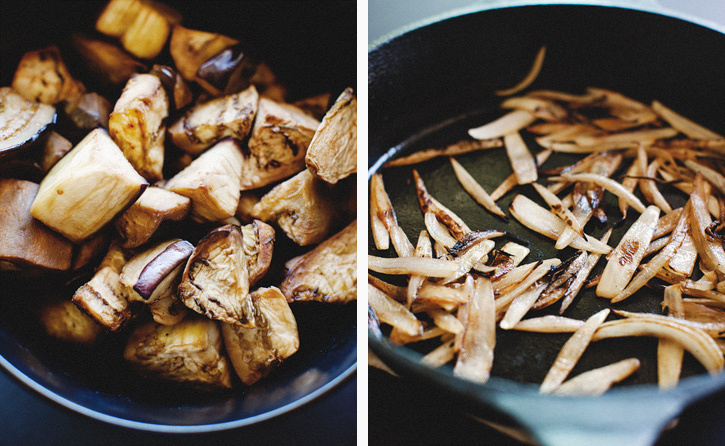 Peel the eggplant (doesn't have to be perfect) and cut it in to small pieces. Drizzle it with the olive oil, generous pinch of salt and dried oregano. Toss to coat. Spread it on a baking sheet and roast it for 15-20 minutes. Note, you could also throw the onions on there to streamline the recipes, but I like to do it in a cast iron to really char those babies. 3. To char the onions, heat a pan over medium high heat with a dash of oil (I like to use cast iron here), add the onions and char them for about 10-15 minutes, tossing them around occasionally . The point is to cook them on high heat, without a lot of moisture, to char the sides, as opposed to caramelizing them. 4. 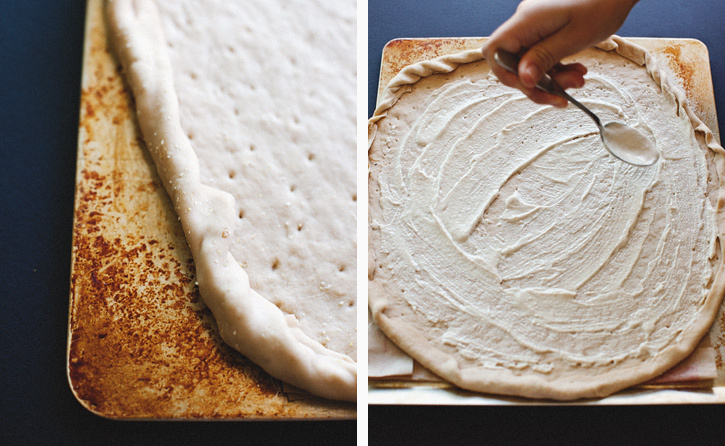 Roll out your crust and put it on a floured/cornmeal sprinkled baking sheet. Spread the tahini spread across the surface, sprinkle the mozzarella, the eggplant chunks and charred onions, the za'atar, and the crumbled feta. Drizzle a bit of olive oil on top, and baking the pizza for 12-15 minutes until the edges crisp up. Garnish the top with a generous sprinkle of the fresh thyme leaves.